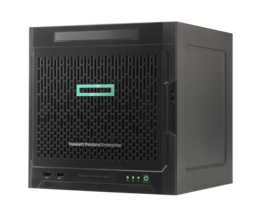 HPE has generously extended the current Microserver Cashback deal once again, this time remaining valid until the end March 2018. Sadly my favourite Gen8 Microserver is now very much end of life, and the ultra low launch price on the Generation 10 version has now ended. This means the base price of the Gen10 Microserver has increased, however you still do get a lot of home server for the money. Make no mistake, this is a basic server and in its stock setup i’d say it would be suitable for very light enterprise tasks only. Where it really shines is in the home as a centralised media server. I personally own and use a Gen8 Microserver that is populated with a 120GB SSD as a boot drive and 4 x 2TB HDDs for general storage. Its been running for the last 24 months in this configuration and hasn’t skipped a beat. If you have the space and can afford the slightly higher running costs its a great alternative to a traditional NAS drive. HP Gen 10 Microserver Cashback? In some brilliant news, HP has made cashback available on the brand new Gen10 Microserver. The current rate is fixed at £50 per unit, with an additional £35 claimable should you take out the extended support package. To claim your cashback, check the links at the bottom of this page. At the current prices (as at March 2018) you can pick up a Gen10 at around £280 after cashback, which is a still a good deal. Where can I get a Gen10 Microserver? I picked mine up from serversplus.com (direct link to the server) and i’d happily recommend them to anyone. Customer service was great and I received the unit next day. I also purchased an HP ML10V2 shortly after and experienced the same great service. How do I claim my Microserver Cashback? The process is quick and painless and who wouldn’t want this fantastic little server at an even better price?